We are a leading Manufacturer of panel indicator controller from Vadodara, India. 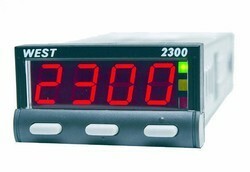 We are one of the leading organizations engaged in manufacturing superior quality Panel Indicator Controller. All these products are manufactured under the close supervision of our experienced professionals employing latest machines and equipment. Also, we offer customization facility of the offered range as per the specifications detailed by customers.